Home BTS K-POP MUSIC YOUTUBE BTS' 'DNA' music video makes record-breaking 200M views on Youtube! 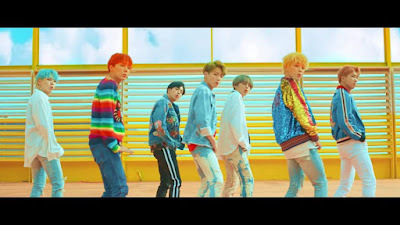 BTS' 'DNA' music video makes record-breaking 200M views on Youtube! There's a new member in the 200M club on Youtube, and it's the "DNA" music video of the global K-pop sensation BTS! Yesterday, December 17, 2017, BTS' music video for their song 'DNA' has already reached 200 million views on Youtube within just 89 days, becoming the fastest KPop MV ever to hit that mark! It's now the group's 4th music video to achieve 200M views. Previously, their MVs for 'Dope', 'Fire' and 'Blood, Sweat and Tears' have already reached that milestone. With that, BTS has also now claimed the record for a Kpop group with most 200M-viewed music videos.